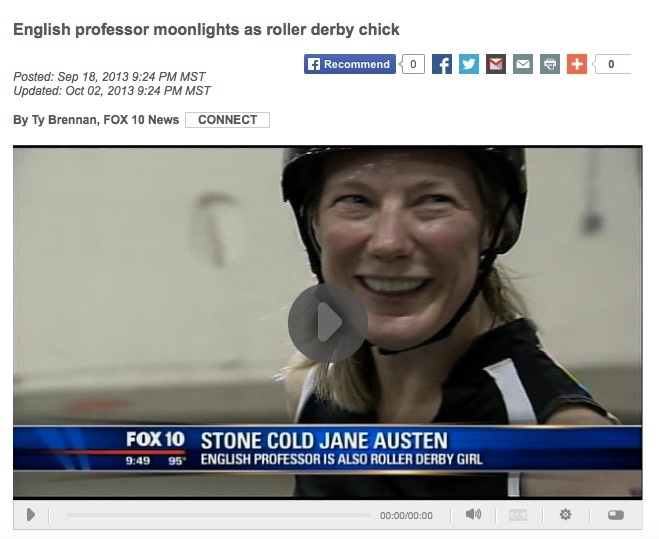 Now faculty adviser to ASU's roller derby team, the ASU Derby Devils, I've also played flat-track roller derby as Stone Cold Jane Austen. Like the Derby Devils's Facebook page and Instagram to support the team, skate with us, and see upcoming bouts. Want to learn about our history-making first collegiate roller derby bout in 2014? Then read this.